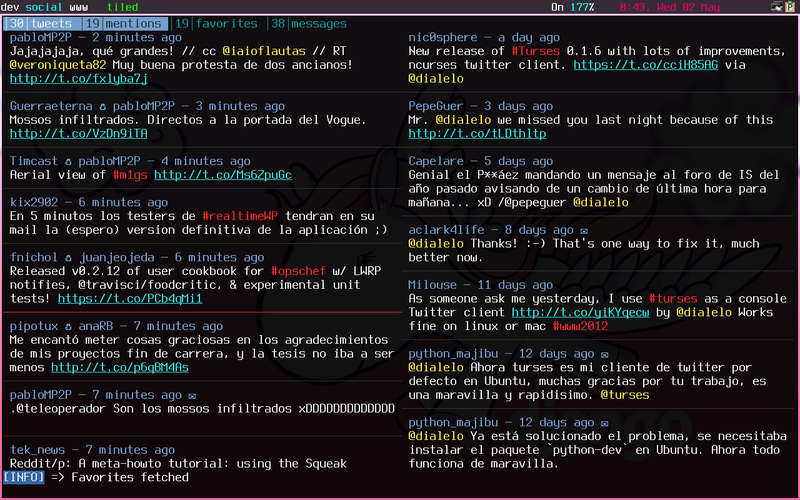 A Twitter client for the console. This part of the documentation will help you using turses. © Copyright 2012, Alejandro Gómez, Nicolas Paris. Revision b9992b7a.